Are we looking for you in the Tri-Cities, TN area? Stork Rentals Tri Cities, TN ~ Are you looking for extra income? We’re looking for a partner in the Tri-cities area of Tennessee. The Stork Lady brand has a growing presence across much of south and the USA! We receive regular phone calls from northeast TN from people in the area who want to rent a cute stork sign to celebrate the birth of a new baby! We would love to have a partner in the greater Tri-cities area to partner with so they can fill those stork sign requests. The Tri-cities area of Tennessee presents a wonderful opportunity for a stork rental business. There is a huge population to work with in a compact area. The Stork Lady is a flexible home business. It’s not a franchise and after a small initial investment, all money earned is yours to keep. 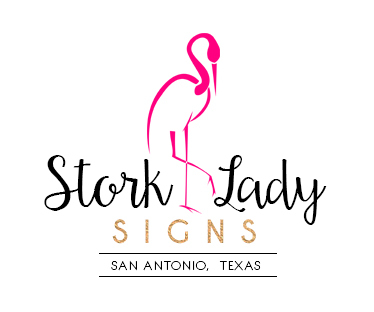 A stork sign rental business is perfect for stay-at-home moms, working professionals, single parents, married couples, retirees and young families. It’s easy to rent stork signs around anyone’s schedule, which is one of the many great things about this business opportunity. We have 20 years of proven results and offer ongoing unlimited support.